Rush Thrift serves as the Vice President and General Counsel for Thrift Development, Thrift Group, Inc. and Tri-County Ace Hardware. Rush is the oldest son of Gary Thrift and was raised working for his family’s business on the construction side as well as in the hardware stores. Rush graduated from Auburn University in Auburn, Alabama in 2011 with a Bachelor of Science degree in Building Construction. 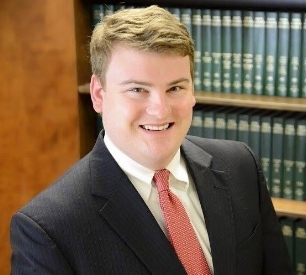 He received his Juris Doctor from Cumberland School of Law at Samford University in Birmingham, Alabama in 2015. After graduation, Rush was admitted to practice law in Alabama and began working as an associate attorney for Laney & Foster, P.C., a civil defense firm specializing in defending architects, engineers and general contractors. Rush joined Thrift Development in 2017. He lives in Seneca with his wife, Blaire, and their son, Clayton.